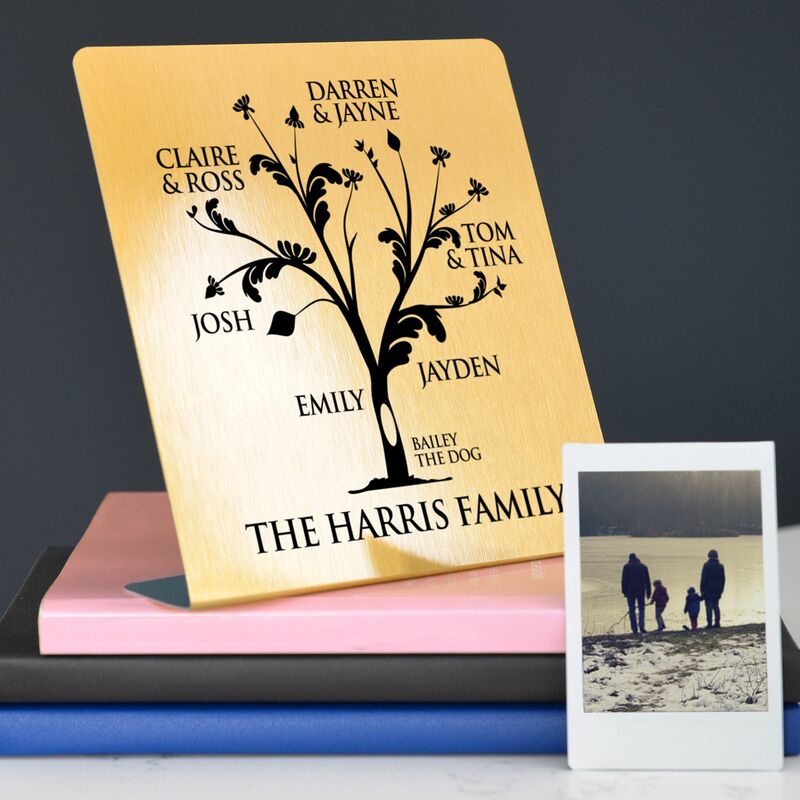 Metallic gold brushed free-standing metal print, personalised with your own family members' names. 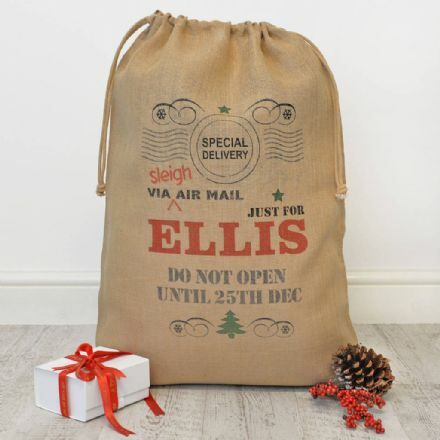 You are welcome to add your family surname along the bottom eg. 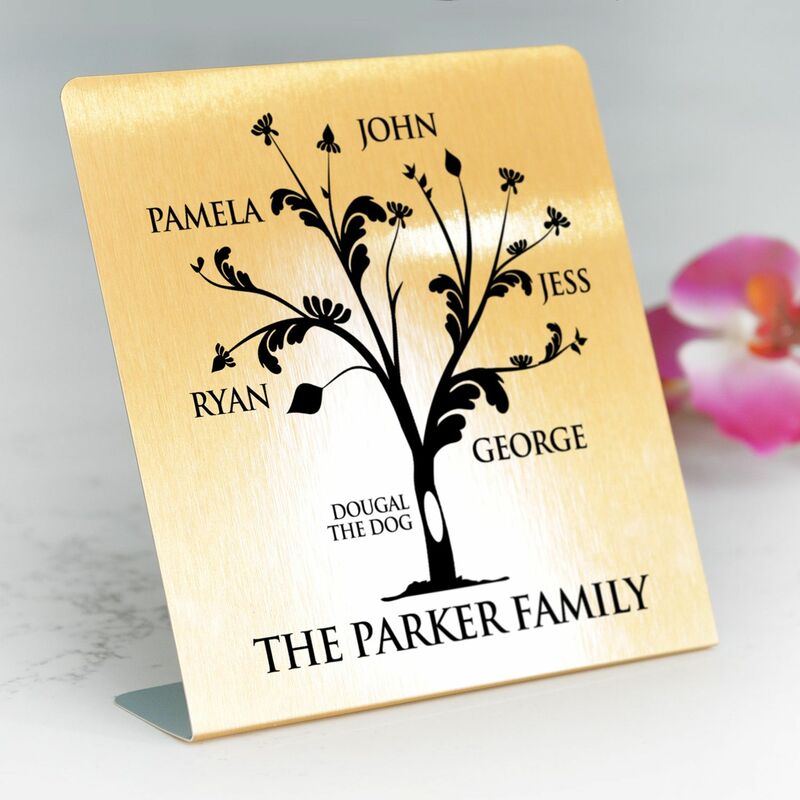 'The Taylor Family' or, as not all members in the family have the same surname, you might want to add a special quote, eg. 'Home Sweet Home' or 'Family Is Everything'. 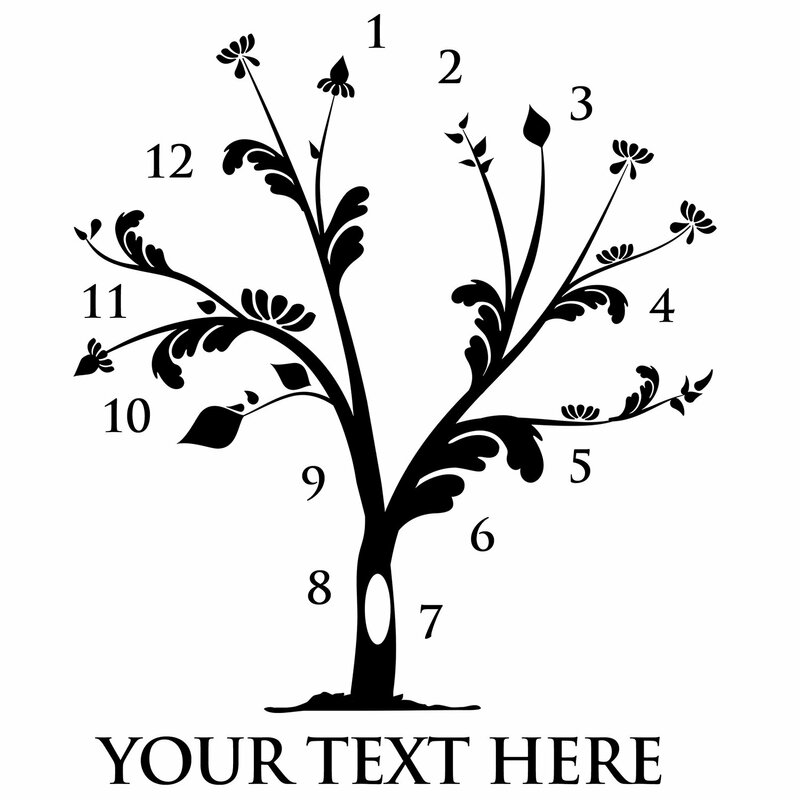 Please type your names in positions 1-12 on the order form that corresponds to the image of the tree with the numbers 1-12 (picture 3), so we know where to place your names in relation to the correct side of the family. 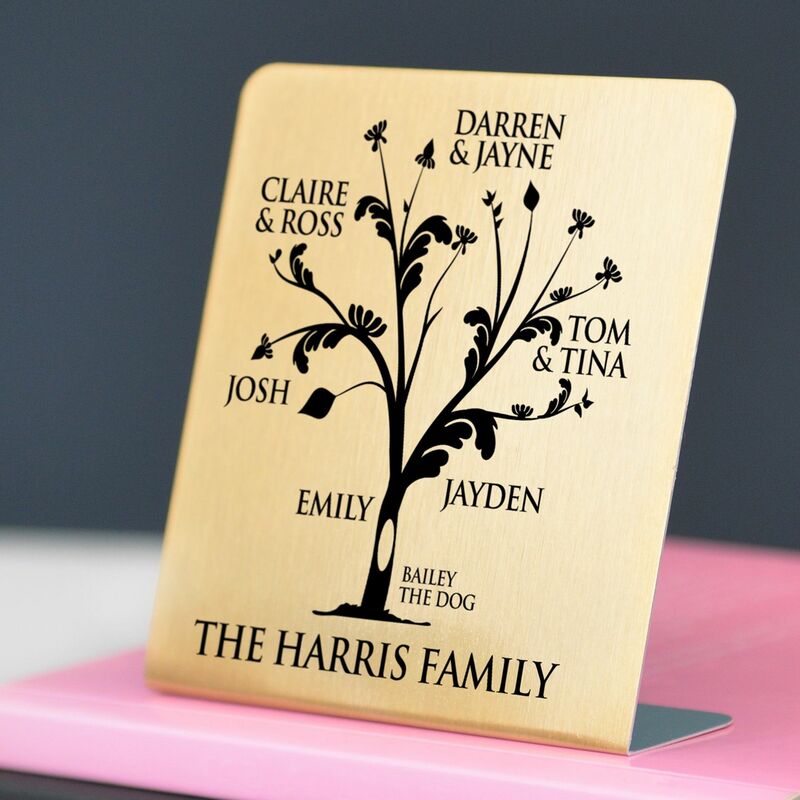 If you would like couple's names together on one branch, please type eg. 'Ann & John' into one box in the correct position and we will keep them together. If you do not have 12 names, you can leave positions blank and we will place your names wherever you enter them. For example, a family of 4, we would recommend positions 2, 12, 4 and 9 so the 4 names are spread around the tree nicely. We recommend starting with the eldest (the parents) at the top, but you are welcome to change the order to start with the eldest at the bottom by typing the parents' names into boxes 7 and 8. 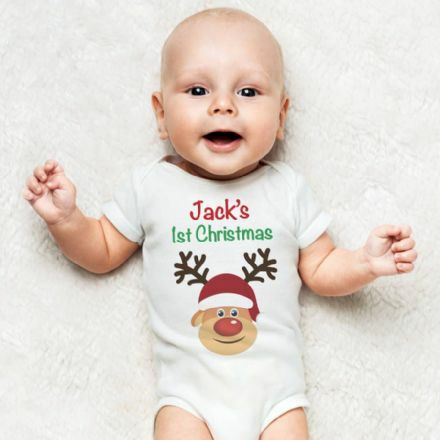 If you would like to include pets' names please type (pet) next to their name so we can make them a little smaller in relation to the other family names, eg: WHISKERS (pet). 14cm x 15.5cm x 4cm.